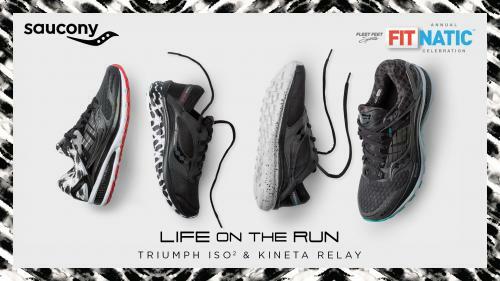 Join us for an exclusive pre-launch event in celebration of the limited edition Saucony Life On The Run Triumph ISO 2 & Kineta Relay. Get early access to the shoes before the rest of the world. Get access to Mark Johnson of Saucony and learn just why these shoes are right for you. Why to add a racing shoe to your running bag and more. Best of all, if you try a pair of either style on at the event, you can enter for a chance to win a $50 Fleet Feet gift card, good for any future Saucony purchase.